Slugs are persistent and widespread pests which can cause havoc in the garden, eating holes in leaves, stems, flowers, tubers and bulbs. They can cause damage throughout the year on a wide range of plants, but seedlings and new growth on herbaceous plants in spring are most at risk. Scientific name: Various species, most common are species in the Milacidae, Deroceras and Arion spp. Slugs are gastropods; single-shelled, soft-bodied animals in the mollusc group of animals. Slugs can use their rasping tongues to make holes in leaves, stems, buds, flowers, roots, corms, bulbs and tubers of many plants. There are many control options available for slugs and snail but despite this they remain a persistent pest. The RHS is carrying out a scheme of research on gastropod control methods to improve the advice we can give to home gardeners. Most slugs feed at night, and the slime trails, if present, can alert you to the level of activity. Damage is usually most severe during warm humid periods. Slugs can make a meal of a wide range of vegetables and ornamental plants, especially seedlings and other soft growth. 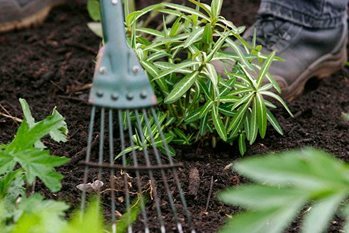 Hostas, delphiniums, dahlias, gerberas, sweet peas and tulips are regularly attacked by slugs, and it can be difficult to grow these plants if you have a big slug problem. In the vegetable garden peas, beans, lettuce, celery and potato tubers are often damaged. Many larger slugs primarily feed on decomposing organic matter such as dead leaves dung and even dead slugs. In the compost heap they can be a valuable part of the composting process. Slugs are so abundant in gardens that some damage has to be tolerated. They cannot be eradicated so targeting control measures to protect particularly vulnerable plants, such as seedlings and soft young shoots on herbaceous plants will give the best results. A biological control ('Nemaslug') specific to molluscs, with no adverse effect on other types of animal, is available in the form of a microscopic nematode or eelworm that is watered into the soil. The nematodes (Phasmarhabditis hermaphrodita) enter slugs' bodies and infect them with bacteria that cause a fatal disease. A moist warm soil (temperatures of 5-20ºC (41-68ºF)) is required, therefore control is most effective during spring to early autumn. Best results are achieved by applying in the evening to moist but well-drained soils; control may be less successful in heavy soils, such as clay. The nematode is available from refrigerated cabinets in some garden centres or by mail order from suppliers of biological controls (download pdf below). Most of these non-chemical control options have very little scientific research into them, but the RHS is hoping to address this knowledge gap and is carrying out a range of scientific studies. The slugs that damage potatoes spend much of their time in the soil where they do not come into contact with slug pellets. The nematode treatment (see above) can be effective. Damage usually begins during August and becomes progressively worse the longer the crop is left in the ground. Early potatoes usually escape damage; maincrop potatoes should be lifted as soon as the tubers have matured if the soil is known to be slug infested. Heavy applications of farmyard manure and other composts can encourage slugs, and so inorganic fertilizers should be used where slugs are a problem. Potatoes vary in their susceptibility to slugs. ‘Maris Piper’, ‘Cara’, ‘Arran Banner’, ‘Kirsty’, ‘Maris Bard’, ‘Maris Peer’, ‘Kondor’, ‘Pentland Crown’ and ‘Rocket’ are frequently damaged, whereas ‘Romano’, ‘Pentland Dell’, ‘Pentland Squire’, ‘Wilja’, ‘Charlotte’, ‘Golden Wonder’, ‘Kestrel’, ‘Estima’, ‘Stemster’, ‘Sante’ and ‘Pentland Ivory’ are less susceptible. Damaged potatoes are more vulnerable to storage rots and the crop should be sorted into sound and damaged tubers, with the latter being stored separately for early consumption. Following the manufactures instructions scatter slug pellets thinly around vulnerable plants, such as seedlings, vegetables and young shoots on herbaceous plants. It is important store pellets safely and scatter them thinly as they can harm other wildlife, pets and young children if eaten in quantity. Until spring 2020 there are two types of slug pellet approved for use in gardens, those based on metaldehyde and those based on ferric phosphate. Ferric phosphate based pellets are approved for use by organic growers. Products include Growing Success Advanced Slug Killer, Solabiol Garden Slug Killer, Vitax Slug Rid, Doff Super Slug Killer, Sluggo Slug & Snail Killer and SlugClear Ultra3. To protect children and pets pellets must be used as directed. Products for home garden use containing metaldehyde include: Ultimate Slug and Snail Killer, Deadfast Slug Killer, Doff Slug Killer Blue Mini Pellets, Westland Eraza Slug and Snail Killer. Most plants, once established, will tolerate some slug damage and control measures can be discontinued. Slugs and snails, along with other animals including conches and limpets, are gastropods. A gastropod is a single shelled, soft-bodied animal in the mollusc group of animals. The name gastropod comes from the Greek words gaster, meaning stomach, and poda, meaning feet. All gastropods have a muscular foot that they use to move around. Slugs have evolved to have a reduced shell that often cannot be seen from the outside. There are 44 species of slug in the UK, only some of which cause damage to plants. Many species feed on dead plant matter so some slugs of the slugs in the garden may actually be beneficial. Slugs vary in size from the grey field slug (Deroceras reticulatum), which is no more than 5cm (about 2in) long, to the large black slug (Arion ater), which can be 12cm (about 5in) when fully extended. Some slugs vary in colour; Arion ater can be black, orange-brown or buff coloured. Most slugs feed in or on the soil surface, but keeled slugs (Milax species) live and feed mostly in the root zone. Slugs remain active throughout the year, unlike snails, which are dormant during autumn and winter. Warmer weather, combined with damp conditions greatly increases their activity. Slugs are most active after dark or in wet weather. Reproduction occurs mainly in autumn and spring, when clusters of spherical, yellowish-white eggs can be found under logs, stones and pots.